Get Your Groove! is the new CD from legendary keyboardist Bruce Katz and his exciting, road-tested band, Chris Vitarello, playing guitar and singing, and Ray Hangen on drums. Also playing on the album is Allman Brothers founding drummer Jaimoe. This album continues the evolution of the band s music from the traditional blues and soul-jazz it is already known for into the improvisational jam blues . 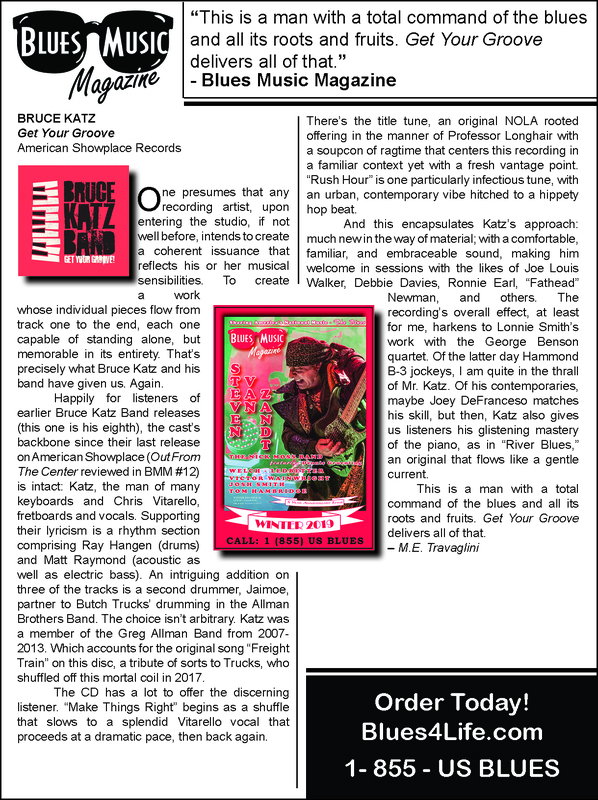 Katz played as a member of Gregg Allman s Band and other Allman Brothers family bands like Butch Trucks Freight Train Band and Jaimoe s Jasssz Band. Bruce Katz Band - "GET YOUR GROOVE"